Back by popular demand! 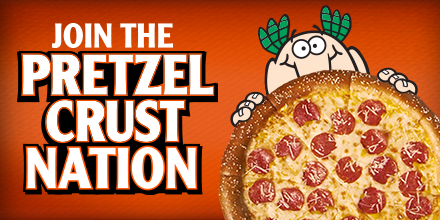 Little Caesars invites you to join the Pretzel Crust Nation and try out the delicious Soft Pretzel Crust Pepperoni Pizza for just $7 plus tax. It's available all day long and you can walk in and grab a Hot-N-Ready one between 4-8pm with no advance ordering and no waiting! I tried the Soft Pretzel Crust Pepperoni Pizza when it first came out and I'm so happy they brought it back! It's a large specialty pizza that starts with a flavorful, buttery, soft pretzel crust made fresh daily in store. It is topped with creamy cheddar cheese sauce, a blend of 100% real cheese, and pepperoni, and then finished with an irresistible four-cheese gourmet blend of Asiago, Fontina, Parmesan, and White Cheddar cheese. 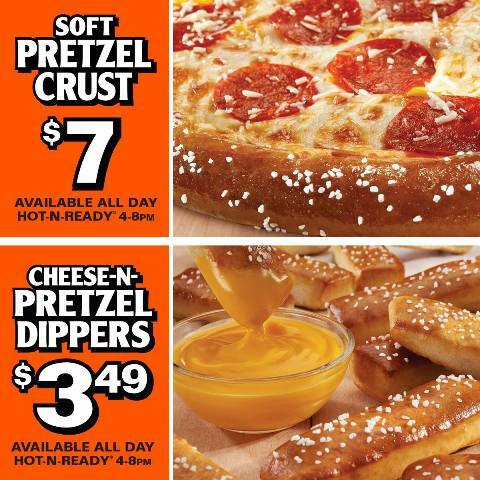 Plus, Little Caesars has introduced a brand new product -- the Cheese-N-Pretzel Dippers for just $3.49 plus tax. Grab an order of 16 savory pieces of buttery, salty, toasted, soft pretzel bites served with a side of warm, creamy cheddar cheese dip. Cheese-N-Pretzel Dippers are also available all day long and Hot-N-Ready from 4-8pm. Available for a limited time at participating locations. 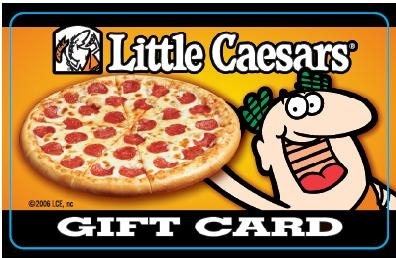 Stop off at Little Caesars Pizza for lunch or dinner, or grab a whole stack of pizzas for a party! Everyone will love the Soft Pretzel Crust Pepperoni Pizza and the Cheese-N-Pretzel Dippers. Check out Little Caesars newest commercial here. To enter, just fill in the giveaway form below. Open to US residents, ages 18 and older. Giveaway ends on 8/5/2015. Good luck! We love Little Caesars Pizza. Everything they sell is so good. We love their regular pepperoni pizzas and bread sticks. I like the deep crust pepperoni pizza! YUM! Besides the pizza, I love the CHEESE-N-PRETZEL DIPPERS!! I Love their bread sticks and pepperoni pizza. My teenage son and I both love their 5% hot-n-ready pepperoni pizza's and crazy bread! I love their hot and ready cheese pizza. I would love to try the pretzel crust son though. I absolutely love their crazy bread! I like their Veggie Pizza. The Ultimate Supreme is my favorite. I haven't had Little Caesars before, the deep dish and the soft pretzel crust pizza sound great. My favorite is the crazy bread. I love the crazy bread, of course the cheese pizza. Large pepperoni pizza. We just got the Hot N-Ready. Yum. I like the deep dish pizza with peperoni. I like their deep deep dish pepperoni pizza. My favorite thing to order at Little Caesars is their veggie pizza. My family loves the Classic with Pepperoni I always give GC's for xmas to everyone to eat there. I love the deep dish pepperoni pizza! I had it for lunch earlier!! We love hot n ready pepperoni! We also LOVE crazy bead! I love their Hula Hawaiian pizza - yum! I like the bread sticks. We love their breadsticks. We can go there and get 3 orders of those and just eat those for dinner. lol Thank you! My favorite is their bacon wrapped pizza and their pretzel cheese dippers. Crazy Bread is my favorite! I love their hot and ready $5.00 pizza. We like their cheesy bread. We love their crazy bread and their cheese pizza. I love their deep dish pizza. So glad to see this brand making a revival! I like the hot and ready (no waiting) pepperoni pizza. We really like the Little Caesars Italian Cheese Bread. I love the cheese and pretzel dippers. I am a pretzel girl. My favorite food from Little Caesars would be the $5 pepperoni pizza and crazy bread! Oh my favorite is the DEEP!DEEP!™ Dish Pizza with Sausage...and oh have to have that Crazy Bread! We love the soft pretzel crust pizza . I LOVE the Crazy Bread & the cheese pizza - yum!! Plain old cheese or pepperoni are my faves! I like hot and ready pizza. We like their Ultimate Supreme Pizza! I like to get their Crazy Bread! I'm crazy about their crazy bread! I like their cheese pizza and the bread. MY favorite is their pepperoni pizza with garlic sauce! Our favorites are the HOT-N-READY® Classic Pepperoni and their wings. I worked at Little Caesars many, many years ago and always loved the Crazy Bread. Our favorite from Little Caesar's is the Hot n Ready Pepperoni. My favorite is their deep dish pizza. Thanks for this giveaway - it would be a great way to have a pizza dinner for us! I love the crazy bread and can't wait to try the pretzel bites!!! I love their Hot N Ready Pepperoni Pizza. My fave is their crazy bread. It's the best! HOT-N-READY® Classic Pepperoni is my favorite! I love the hot n ready pepperoni pizza! I like the HOT-N-READY® Caesar Wings. I have always love the crazy bread... so good!!!! I love their Italian cheese bread. i love the pretzel pizza supper delicious! I really love their crazy bread! I love the deep dish pizza with pepperoni, and onions.